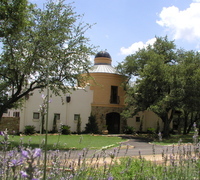 The Hamilton Twelve is located approximately 20 miles from downtown Austin, Texas on a crested hill in the Balcones Canyonlands near the convergence of the Pedernales River and Hamilton Creek. 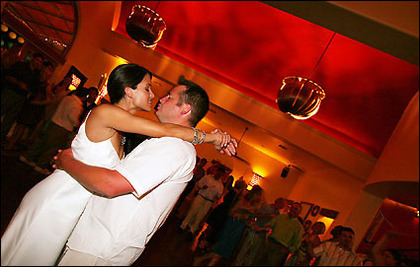 Many years in the planning, this distinctive event facility is a combination of talents, experience, and the passion of owner Georgia Coleman. She has created an event facility that provides an alternative for people interested in distinctive sophistication for any special event or party. It can best be summarized as "inspired architecture and cuisine" for those with a love of celebration and fine food. 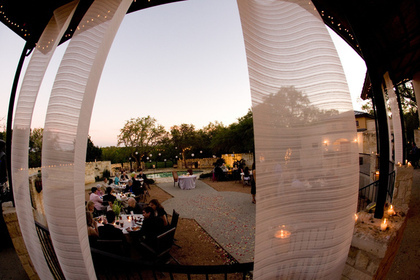 The rambling green hills, Mediterranean Style architecture, and fine culinary offerings make Hamilton Twelve truly a sought-after wedding venue in Austin and The Hill Country. We were so lucky to have found this place. It is a one stop wedding dream! You get so much along with the venue. It definitely made planning a lot easier. They are very courteous and attentive. They helped me every step of the way. My wedding turned out beautifully and stress free! Thanks Georgia and Jessica!! Our wedding at Hamilton Twelve was magical. The venue and surrounding grounds are beautiful, and the seclusion provided by the acres of live oaks makes it feel like you’re in a different world. Georgia, the owner, and Annie, the coordinator, were both spectacular once we were able to meet them face-to-face. The day of the wedding Annie was on top of everything. She kept the reception moving according to the timeline without ever making us feel rushed or hurried, and she kept a close eye on the two of us to make sure our glasses were never empty and that we had everything we needed. Both the food and the staff were exceptional. None of the staff appeared to just be “doing his job”. Each person appeared to really care about our wedding and many stopped to congratulate us. My mom commented that staff seemed more like family. Annie and the Hamilton Twelve staff ensured that our wedding was perfect. And way under budget, too. Given the beauty of the venue, the incredible food, the amazing staff, and the unbelievable pricing, I can’t understand why Hamilton Twelve is not better known. (I had not heard of it before I started researching venues.) Everything about Hamilton Twelve is wonderful and we are so glad we chose to have our wedding there! This site was perfect for our Hill Country wedding. Intimate and romantic. Amazing food and amazing staff.